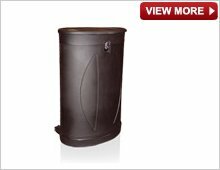 We carry a range of robust quality wheeled exhibition travel cases. 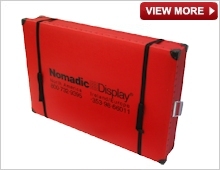 Our exhibition and display stands come standard with an display travel case, however customers may opt for alternative or additional exhibition shipping cases to suit individual needs. 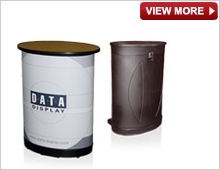 Our display cases for exhibition stands are built to provide maximum protection for exhibition stands during transit. 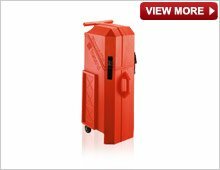 Made of tough rotomoulded plastic, these robust display carry cases feature built-in wheels make handling them a breeze in airports, hotels, and exhibition halls. Some models can even convert into a counter with the addition of a graphic panel and top. The wheeled graphics cases are ideal for storing your custom printed graphic panels, whether that be a Pop Up Stand or an exhibition stand. Creo offer a selection of display bags and travel cases suitable to store your displays, poles, bases and any accessories. 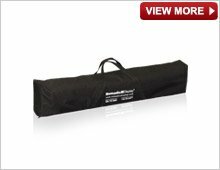 Our range of display cases consists of deluxe carry bags, padded display bags, base and pole bags, wheeled graphics cases and banner tubes to help you easily carry your display stand components around as you need them. 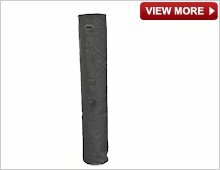 Banner tubes are also ideal for storing your Pull Up Banner Stands when they're not in use or while you're travelling from show to show. 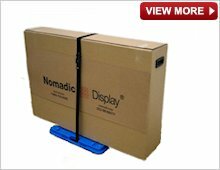 Our tradeshow shipping cases are so robust they can be shipped worldwide with the satisfaction of knowing your stands will be protected during transit, ensuring they arrive safely. 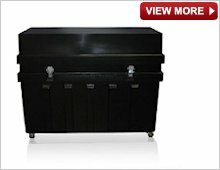 We offer several shipping case models that can be checked as airline luggage. 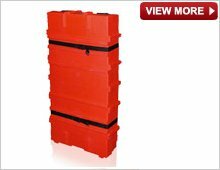 Other shipping cases for trade shows are conveniently stackable for optimal storage. 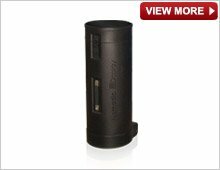 All of the trade show case options offered here are made with quality materials that are durable and built to withstand years of use. These trade show display cases provide great storage containers for your displays, so that they don't get dirty or damaged in-between trade shows, and many customers buy trade show shipping cases to keep graphics and other valuable equipment protected and organized when not in use.